What do you do for the ultimate Red Sox fan in your family? 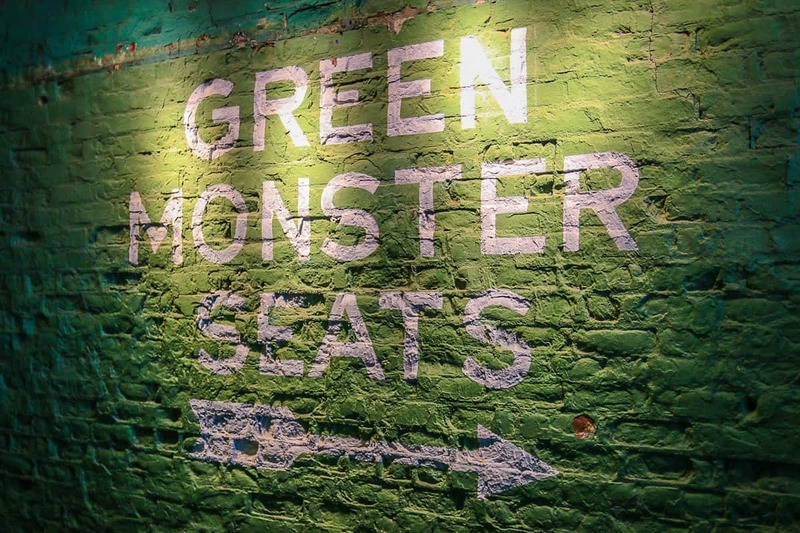 Gather your 24 closest friends or family and book the Jim Beam Dugout Suite that just opened at Fenway Park and book the Fenway Suite at Hotel Commonwealth. The intimate view from your own dugout at Fenway Park. How would you like to watch the Red Sox alongside the players? You can now in the new Jim Beam Dugout Suite located next to the player dugout and the field camera crew. Renting the Jim Beam Dugout Suite is a full evening experience for up to 25 family, friends, or colleagues. It starts well before the game. Fenway park staff greet you on Jersey Way and give your group its credentials before your host begins a tour. One of the first stops of the tour is the field where guests get to observe batting practice. The tour includes field time to watch the teams’ batting practices. Each Fenway Host is a walking encyclopedia of Red Sox history and trivia. At least ours was. This was his side hustle beyond working at a tech start up. His passion for the Red Sox, Fenway Park, and their history was infectious to engage anyone not considered a Sox fan. The tour included parts of Fenway Park many people haven’t seen. Our tour continued up to the Green Monster seats for its exceptional view of the field before walking the hallways with doors to the hospitality suites to one side, and comprehensive Red Sox memorabilia on the other. One hallway contained every Sports Illustrated cover the Red Sox adorned as well as the Hall of Fame plaques. 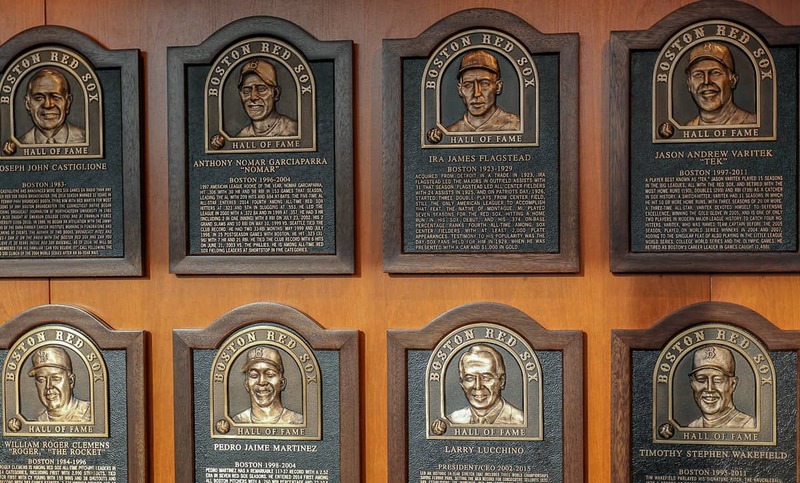 The VIP Tour of Fenway Park will delight all fans with Red Sox artifacts. 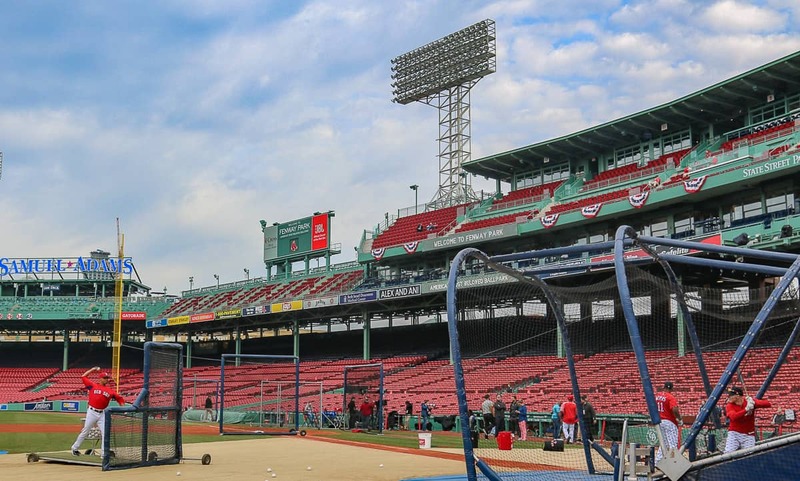 We made a full circle of Fenway (well, a full horse shoe) seeing its historic sites like the red seat that marked the longest home run in Fenway History by Ted Williams and lesser known secrets like the Fenway Garden. The next part of the Jim Beam Dugout Suite evening is a meal. We dined at the Royal Rooters Club, a restaurant filled with more memorabilia, the Jim Beam Bar, and a buffet filled with game favorites: New England Clam Chowder, nachos, steak and chicken, and cupcakes. 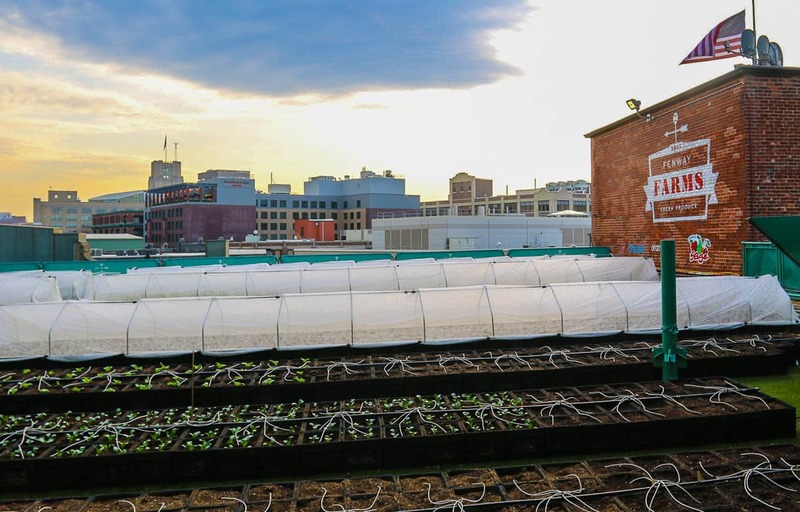 The Fenway Farms rooftop garden. As the game began we finally entered the Jim Bean Suite. Guests were given some Fenway dirt, all-you-can-eat Cracker Jacks, and cotton candy, though I’d hate to see anyone try that. An attentive host offered drinks, and another server focused on food. The Dugout suite comes with all you can eat popcorn and peanuts, too, and lobster rolls, Fenway franks, and chicken fingers are available to order. The drinks package includes wines and beers as well as, you guessed it, Jim Beam cocktails with Ginger Ale or Coke mixers. 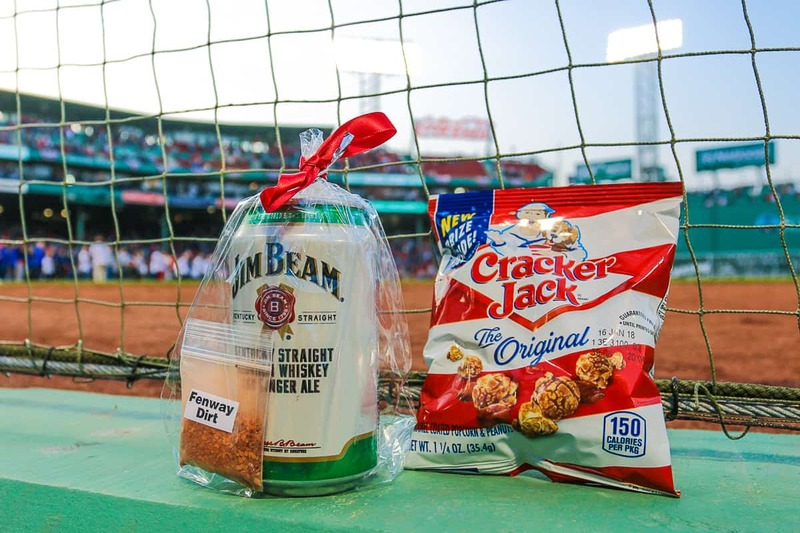 Fenway Park swag for guests of the Jim Beam Dugout Suite. The view from the dugout isn’t one most baseball fans have seen. You are lower and closer to the players, and many members of the Red Sox team would walk by and interact with us. A larger view of the field is tougher to see since the dugout faces the outfield, however. The dugout suite is spacious enough to mingle and move about and chat for those not as intent on watching every second of the game. The evening was certainly a bucket list experience for die hard Red Sox fans and those lucky enough to being invited by them. There’s nothing more luxurious after attending a Red Sox game than a quick walk to your final destination. 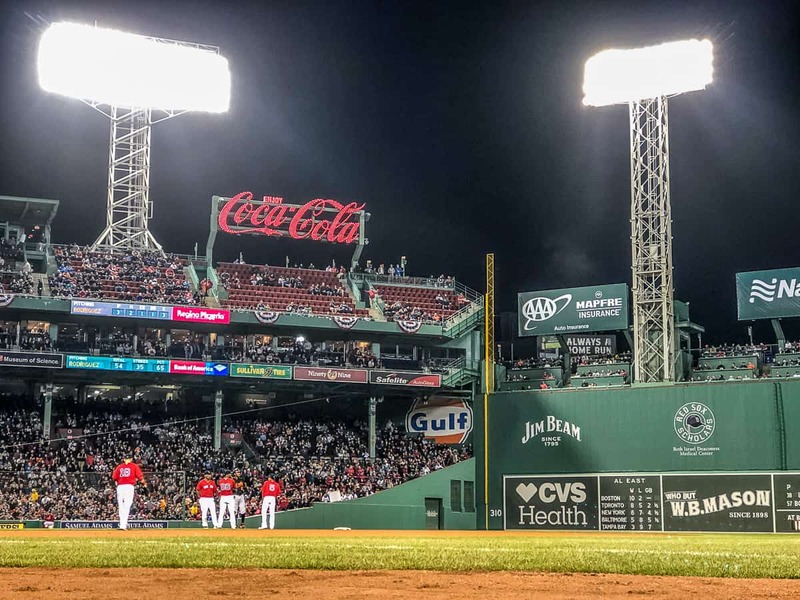 Hotel Commonwealth offers the closest location to Fenway on foot and is the official hotel of the Boston Red Sox. Photo courtesy of the Hotel Commonwealth. 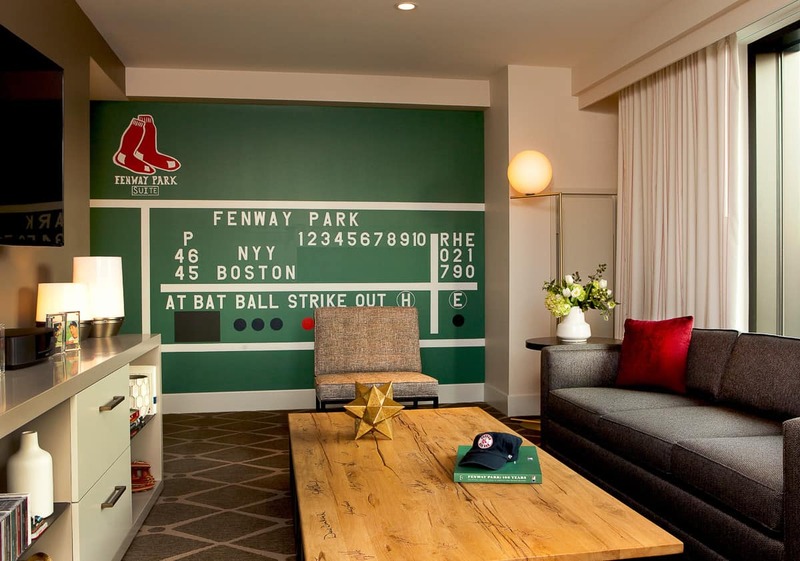 Those seeking the ultimate Red Sox experience can splurge for the Fenway Suite at nearby Hotel Commonwealth. There are several ways to celebrate Red Sox nation. Even if the Red Sox lose, you still win if you sleep in the Fenway Suite. Photo courtesy of Hotel Commonwealth. 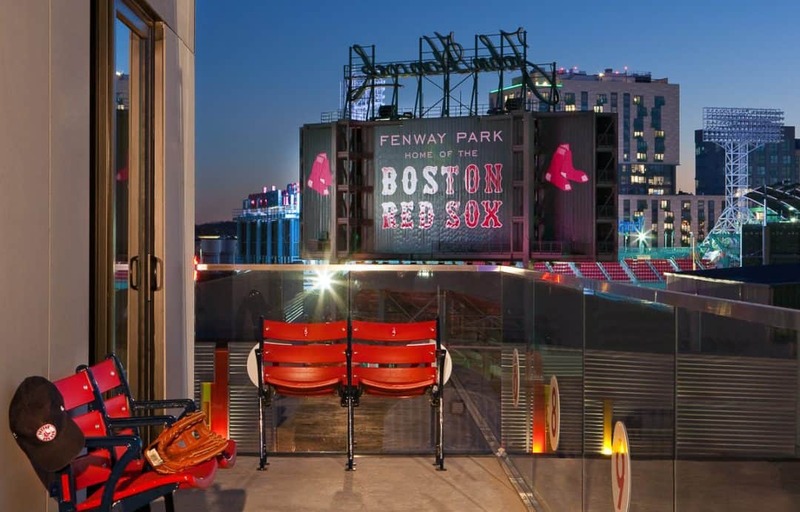 Book the Fenway Suite, the ultimate indulgence for the Red Sox loving or friends. The suite, 700 square feet offers a king bed room and a sleeper sofa. Guests can book an adjoining room to expand the suite’s footprint. The Fenway Suite king bedroom. 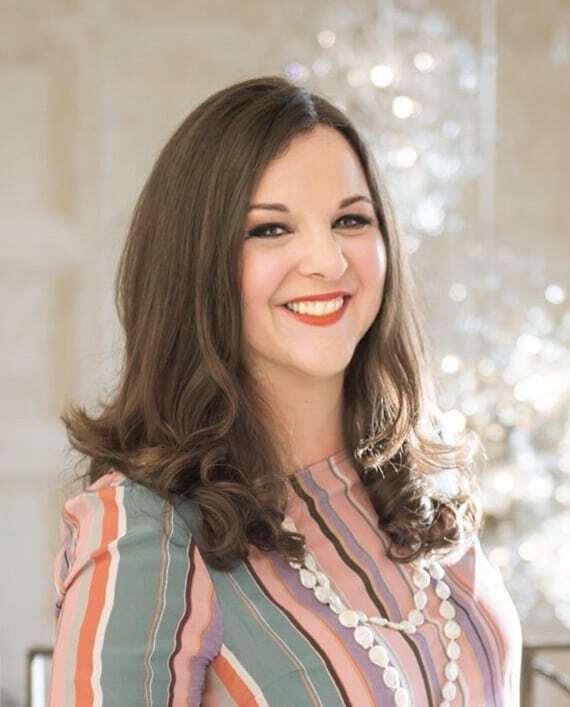 Photo courtesy of Hotel Commonwealth. This top floor suite has a walk out balcony just yards from the Green Monster. The hotel provides a baseball glove for fly balls. The living room has a coffee table signed by numerous Red Sox legends, and original Fenway Park chairs can be brought in. 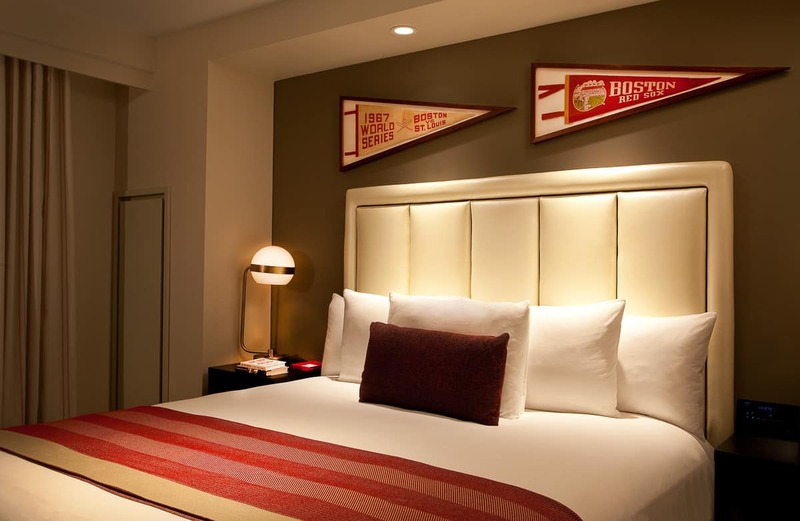 At turndown service, a little bag of Fenway Park dirt will be put on your pillow. True Red Sox fans know the voice of the Red Sox is Joe Castiglione. He makes home games even sweeter. 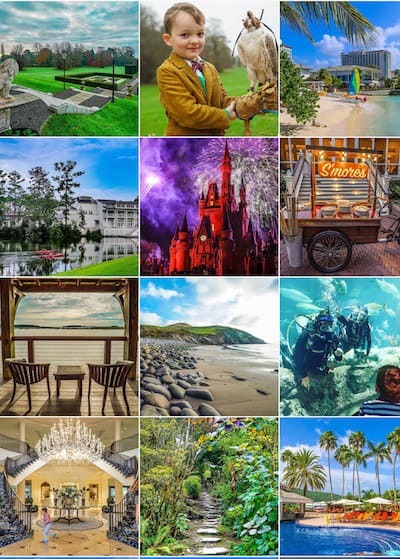 Hotel Commonwealth guests can book the “Can You Believe It?” VIP package. This experience includes a pregame meet-and-greet as well as a recording session. Mr. Castiglione will take guests behind the microphone to record a historic play-by-play. The Hotel Commonwealth has a few other advantages besides its Fenway and Back Bay location worth noting. 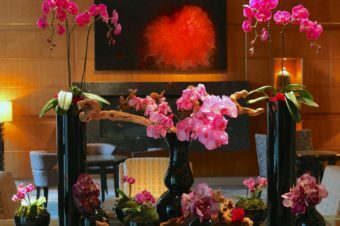 The hotel’s unique style and design doesn’t feel like a chain hotel. It’s filled with local touches. 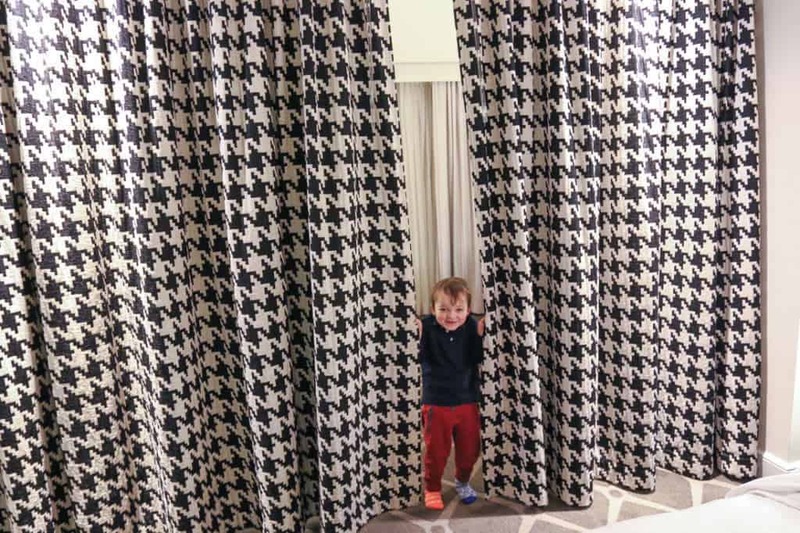 Our room, not the Fenway Suite, worked great for families, with floor-to-ceiling houndstooth curtains that created two separate areas to sleep in. The curtains to the outside windows were cleverly striped in baseball ticking. Most hotel information is loaded on the room’s iPad. Blue socks, orange socks, but needing Red Sox at the Hotel Commonwealth. The Hotel Commonwealth comes with iPad minis in every room. 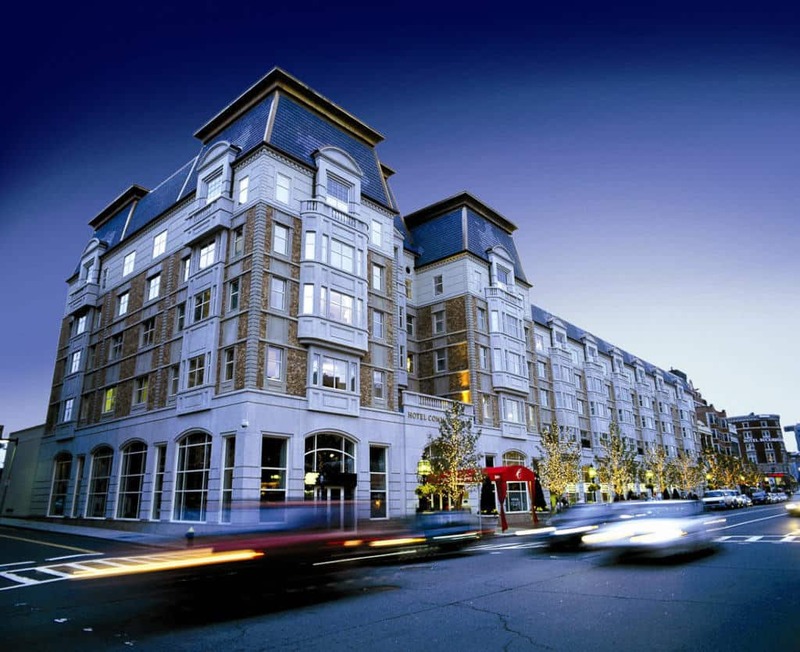 The other key assets of staying at the Hotel Commonwealth are the three on site restaurants and bars that are part of Garrett Harker’s ever-expanding empire: Eastern Standard, the Island Creek Oyster Company, and Hawthorne, a basement level craft cocktail lounge. 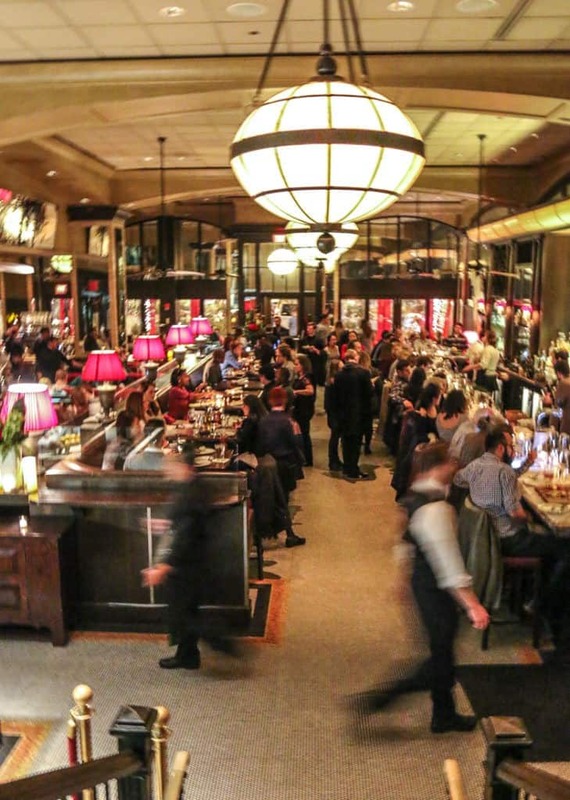 Eastern Standard has been buzzing in Boston since its 2005 opening. Eastern Standard was the Boston table when it opened in 2005, and the crowds keep coming back for its French bistro fare. I like to think of it as the Boston version of Balthazar, the SoHo French brasserie that evolved gracefully from white hot to evergreen classic. It would be one of the most sought-after tables before or after a Red Sox game, so book accordingly. Eastern Standard’s macaroni and cheese is more gourmet than child-friendly. Eastern Standard also provides the room service items for Hotel Commonwealth, so your late night Niçoise salad will impress, and the frites that come with your kids’ dinners should tempt you. Our dinners included an outstanding half roasted chicken with root vegetables and a well executed salmon. My children ordered the mac ‘n cheese, a pretty adult version served in cast iron plates from the oven. 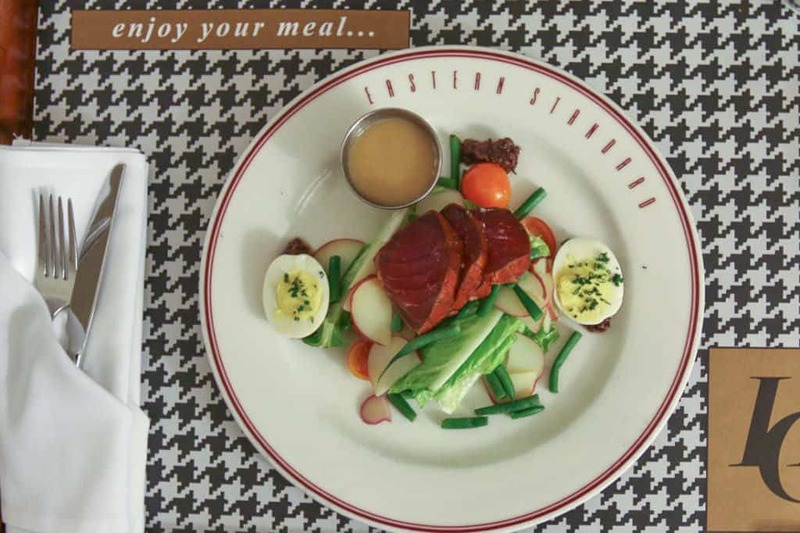 A Niçoise salad from Easter Standard who provides room service at the Hotel Commonwealth. The Boston T is in front the hotel and can transport you to Boston’s Museum of Science within minutes. The Boston Public Garden and the shops of Newbury Street are nearby on foot, too, as is Boston University. 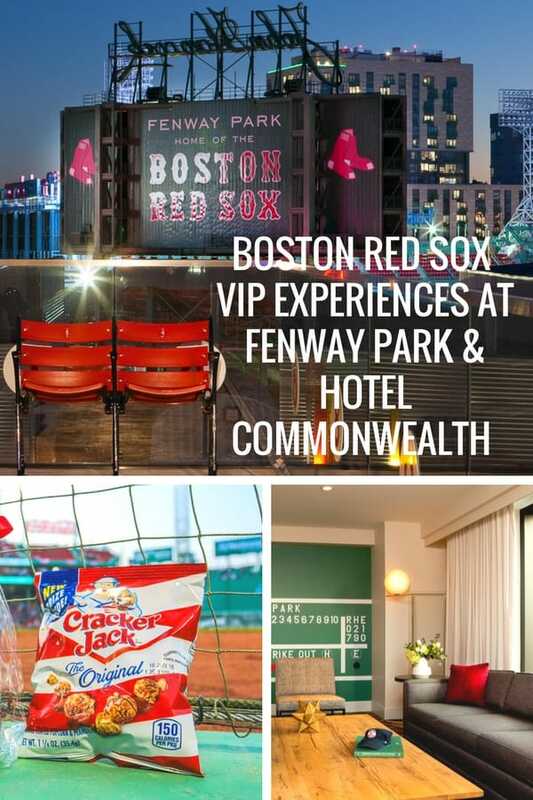 While the comparable chain hotels nearby offer families their indoor pools, Hotel Commonwealth offers an authentically local Boston experience for families where kids and baseball lovers feel equally welcome. Although we were guests of the Hotel Commonwealth and the Red Sox, these opinions are entirely my own. So excited to see this! We are staying there twice in June. We enjoyed staying here with our elementary age children during the winter. We fed them in the room first , then took iPad with headphones as we met up with friends in the area at the island creek oyster company. The staff was very friendly and helpful getting cabs.